Railpictures.ca - Matt Landry Photo: With the day’s last bit of daylight left, CN 5409 leads train O998, the CN Test Train approaching Sussex, New Brunswick, running long hood forward. | Railpictures.ca – Canadian Railway Photography – photographie ferroviaire Canadienne. Copyright Notice: This image ©Matt Landry all rights reserved. 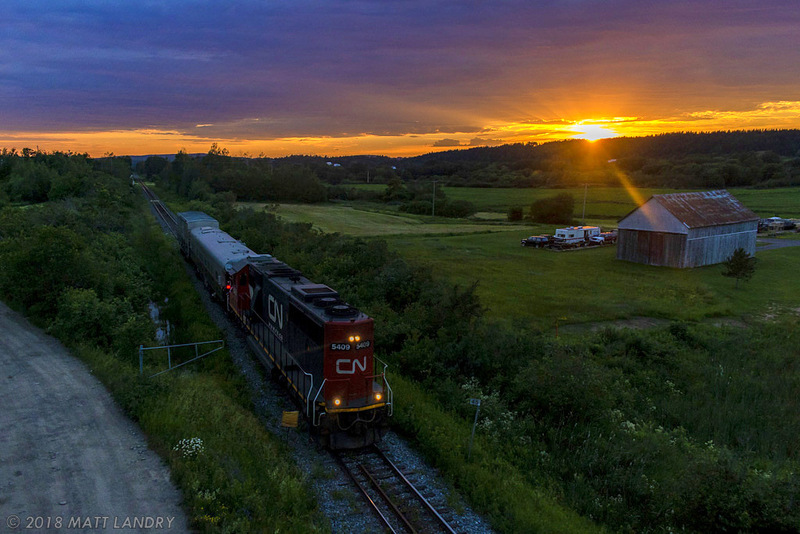 Caption: With the day's last bit of daylight left, CN 5409 leads train O998, the CN Test Train approaching Sussex, New Brunswick, running long hood forward.